Professor Jeremy Astley is Professor of Computational Acoustics within Engineering and Physical Sciences at the University of Southampton. Professor Jeremy Astley joined the Institute of Sound and Vibration in March 2001 as Rolls-Royce Professor of Computational Aeroacoustics. He graduated in Mathematics from the University of Canterbury in Christchurch New Zealand and completed a PhD in mathematics at Bristol University in 1973. Since then he has held academic positions at the University of Nottingham, the University of Missouri-Rolla, and the University of Canterbury, and visiting fellowships at the Universities of Hull, Durham and Colorado (Boulder). He is best known for his research on special Finite Element and Infinite Element techniques for computational acoustics, and in particular the application of these methods to acoustic radiation from aero-engine nacelles. Professor Astley has played a leading role in the development of such methods and is author of more than 50 journal articles on this topic. More recently he has applied more general ‘wave-based’ numerical techniques to the nacelle problem. He is a subject editor for the Journal of Sound and vibration, has served as associate editor for the AIAA Journal, and is a member of the editorial board of the International Journal for Numerical Methods in Engineering. He is also a UK representative on the CEAS Aero-acoustics Specialists Committee (ASC), an international member of the AIAA aeroacoustics technical committee, and a UK representative on the Scientific Committee of the ‘X-Noise’ thematic network, funded by the European Commission to coordinate aircraft noise research in Europe. In 1999 Professor Astley was awarded a higher Doctorate (Doctor of Engineering) by the University of Canterbury for his work on finite and infinite elements. He is a Fellow of the Royal Society of New Zealand, the Institution of Professional Engineers of New Zealand, and the International Institute for Acoustics and Vibration (IIAV). 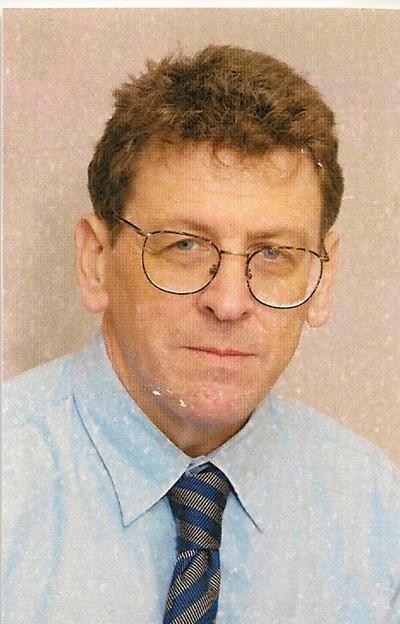 In 2001 Professor Astley was elected to Distinguished International Membership of the Institute of Noise Control Engineering of the United States of America. Theoretical and computational acoustics. Finite and infinite element methods. Computational Aero Acoustics (CAA). Acoustic-structural interaction, acoustics of air-moving ducts. Engineering models predicting how sound radiates from jet exhausts has been developed and used extensively for the acoustic design of liners on turbofan engines. We have developed a method to predict how sound is attenuated in ducts and waveguides with complex distribution of acoustic treatments. Lafronza, L., McAlpine, A., Keane, A. J., & Astley, R. J. (2006). Response surface method optimization of uniform and axially segmented duct acoustic liners. Journal of Aircraft, 43(4), 1089-1102. Hamilton, J. A., & Astley, R. J. (2005). Acoustic propagation on irrotational mean flows using time-domain finite and infinite elements. AIAA Journal, 43(1), 124-134. Astley, R. J., Harrington, J. J., & Stol, K. A. (1997). Mechanical modelling of wood microstructure, an engineering approach. IPENZ Transactions, 24(1/EMCh), 21-29. Astley, R. J. (1992). Finite elements in solids and structures. An introduction. London, GB: Chapman & Hall (Springer). Astley, R. J. (2008). Infinite elements. In S. Marburg, & B. Nolte (Eds. ), Computational Acoustics of Noise Propagation in Fluids-Finite and Boundary Element Methods (pp. 197-230). Berlin, Germany: Springer Verlag. Astley, J. (2008). Infinite elements. In F. Magoulès (Ed. ), Computational Methods for Acoustics Problems (pp. 37-68). Stirling, Scotland: Saxe-Coberg. Astley, R. J. (2007). Numerical acoustic modeling (finite element modeling). In M. J. Crocker (Ed. ), Handbook of Noise and Vibration Control (pp. 101-115). UK: John Wiley and Sons. Mancini, S., Astley, J., Sinayoko, S., Gabard, G., & Tournour, M. (2016). A variable transformation approach for boundary element solutions of wave propagation in non-uniform potential flows. In Proceedings of the 45th International Congress on Noise Control Engineering: INTER-NOISE 2016 (pp. 748-759). (Inter-Noise Proceedings). Deutsche Gesellschaft für Akustik. Murillo, D. M., Fazi, F., & Astley, R. (2016). Reproduction of the modal response of enclosures by means of interactive auralization. Paper presented at Proceedings of the 22nd international congress on acoustics, Buenos Aires, Brazil. Mancini, S., Astley, R. J., Gabard, G., Sinayoko, S., & Tournour, M. (2015). A quasi-potential flow formulation for the prediction of the effect of the circulation on the acoustic shielding from a lifting body by means of a finite element method. Paper presented at Euronoise 2015, Maastricht, Netherlands. Mancini, S., Astley, R. J., Gabard, G., Sinayoko, S., & Tournour, M. (2015). On the numerical accuracy of a combined fem/radiating-surface approach for noise propagation in unbounded domains. Paper presented at ICSV 2015, Italy. Olivieri, O., McAlpine, A., & Astley, R. J. (2009). Numerical calculation of pressure modes at high frequencies in lined ducts with a shear flow. Paper presented at 8th European Conference on Noise Control 2009 (EURONOISE 2009), United Kingdom. Gabard, G., Gamallo, P., Huttunen, T., & Astley, R. J. (2008). A comparison of wave-based methods for Helmholtz problems. Paper presented at LSAME.08: Leuven Symposium on Applied Mechanics in Engineering, . Astley, R. J., Gamallo, P., & Gabard, G. (2008). Wave-based numerical methods for acoustics. Paper presented at 8th.World Congress on Computational Mechanics (WCCM8): 5th European Congress on Computational Methods in Applied Sciences and Engineeering (ECCOMAS 2008), . Gabard, G., & Astley, R. J. (2007). Applications fo a finite-element mode-matching method to acoustic design of the bypass duct of turbofan engines. Paper presented at 14th International Congress on Sound and Vibration, Australia. Astley, R. J., Gabard, G., & Ponte, P. G. (2007). Wave-based computational methods for flow acoustics. Paper presented at 8th International Conference on Theoretical and Computational Acoustics (ICTCA 2007), . Astley, R. J., Gabard, G., & Gamallo, P. (2007). Wave-based computational methods for flow acoustics (Invited Paper). Paper presented at 8th International Conference on Theoretical and Computational Acoustics, . Lafronza, L., Song, W., McAlpine, A., Astley, R. J., & Keane, A. J. (2005). Liner optimization using a hybrid finite element method. 1085-1095. Paper presented at 6th European Conference on Turbomachinery, Fluid Dynamics and Thermodynamics, . Lafronza, L., McAlpine, A., Keane, A. J., & Astley, R. J. (2004). Computer-aided liner optimization for broadband noise. 10th AIAA/CEAS Aeroacoustics Conference, . Castres, F., Joseph, P. F., & Astley, R. J. (2004). Mode detection in turbofan inlets from acoustic pressure measurements in the radiated field. Paper presented at 10th AAIA/CEAS Aeroacoustics Conference, . Astley, R. J., & Gamallo, P. (2004). The partition of unity finite element method for short wave acoustic propagation on non-uniform potential flows. Paper presented at 10th AIAA/CEAS Aeroacoustics Conference, . Astley, R. J., & Hamilton, J. A. (2002). Modelling tone propagation from turbofan inlets: the effect of extended lip liners. Paper presented at 8th AIAA/CEAS Aeroacoustics Conference, . Lagrouche, O., Bettess, P., & Astley, R. J. (2001). Approximating systems of plane waves for the solution Helmholtz equation at high frequency: integration and conditioning. Paper presented at European Congress on Computational Methods in Applied Sciences and Engineering, ECCOMAS Computational Fluid Dynamics Conference 2001, . Astley, R. J., & Hamilton, J. A. (2001). Infinite elements for transient flow acoustics. 10pp. Paper presented at 7th AIAA/CEAS Aeroacoustics Conference, . Astley, R. J., & Hamilton, J. A. (2001). The stability of infinite elements schemes for transient acoustics. Paper presented at 2nd European Conference on Computational Mechanics: Solids Structures and Coupled Problems in Engineering, . Huttunen, T., & Gamallo, P. (2006). Comparison of two wave element methods for the Helmholtz problem. (ISVR Technical Report; No. 307). Southampton, GB: Institute of Sound and Vibration Research, University of Southampron. Gabard, G., & Astley, R. J. (2003). Stability and accuracy of finite element methods for flow acoustics: 1. One-dimensional acoustic propagation. (ISVR Technical Reports; No. 302). Southampton, GB: Institute of Sound and Vibrartion, University of Southampton. Gabard, G., & Astley, R. J. (2003). Stability and accuracy of finite element methods for flow acoustics: I. One dimensional acoustic propagation. (ISVR Technical Report; No. 301). Southampton, GB: University of Southampton. Gabard, G., & Astley, R. J. (2003). Stability and accuracy of finite element methods for flow acoustics: II. Two-dimensional propagation. (ISVR Technical Reports; No. 302). Southampton, GB: Institute of Sound and Vibrartion, University of Southampton.